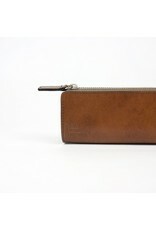 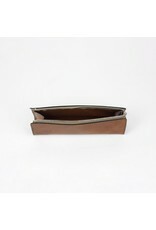 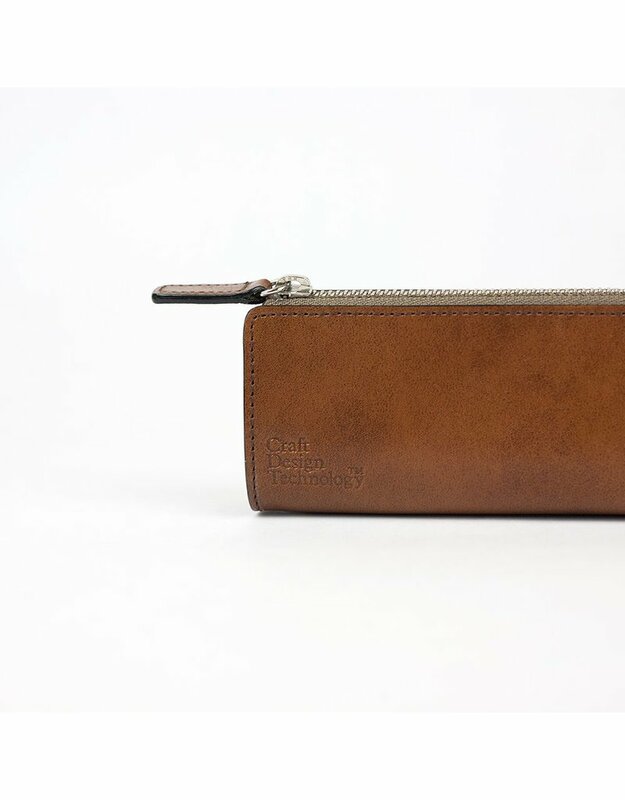 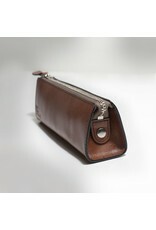 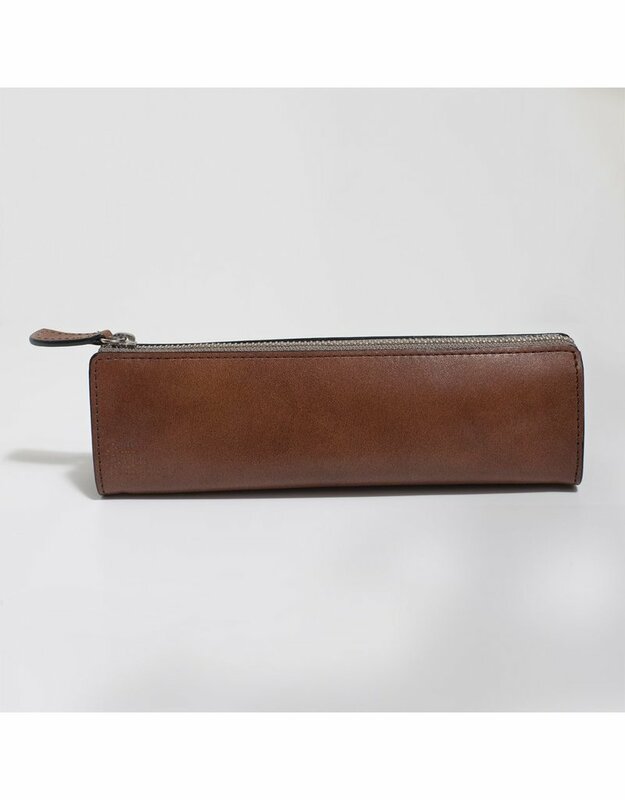 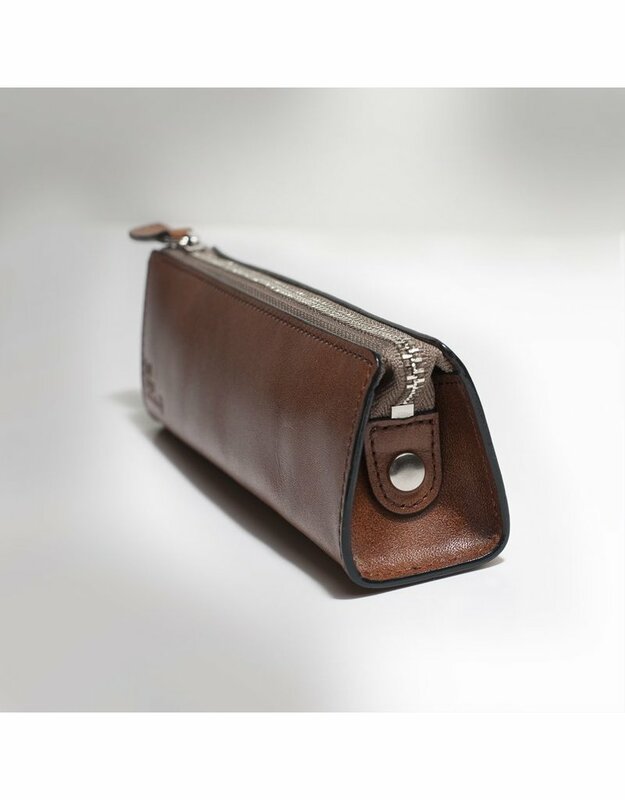 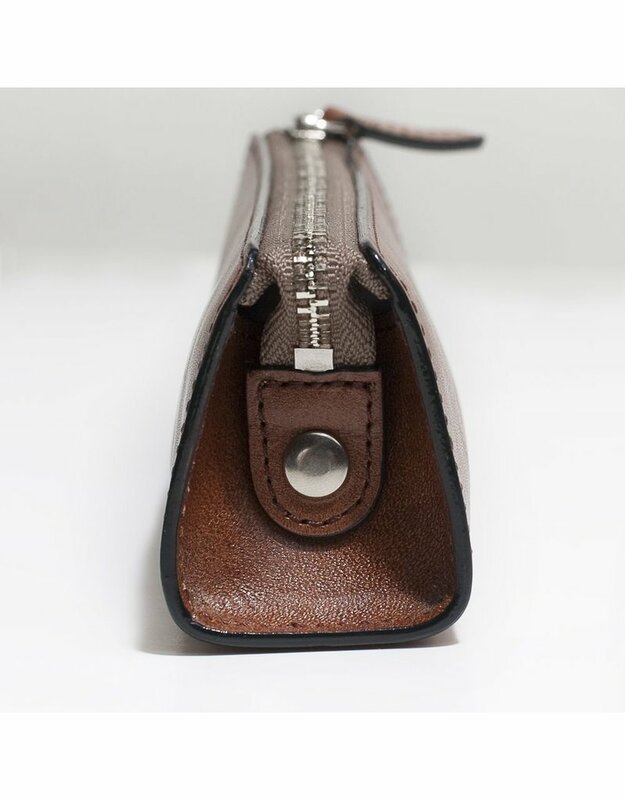 This genuine leather pen case was made in Japan and has been treated to age beautifully. 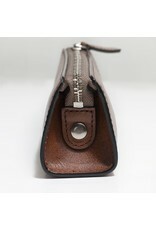 It closes with a zip and has an embossed Craft Design Technology logo on its side. 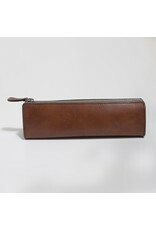 L: 7.5 inches W: 2.5 inches H: 2 inches.